Because of a scheduling conflict on the part of the Viscount we have been asked to change our holiday party and big raffle to Dec 1st. We have been promised a glass of wine for everyone and an upgraded holiday buffet. Plus Alica has been told that we will be in the big front room with the windows. Please make a note of the date change! Don’t forget our Annual Raffle! As part of the holiday party, we’ll be holding our special Annual Raffle – the time when we ask members who are able to bring in something extra special to donate to our chapter fundraiser. In the past we’ve had Computers, Gift Certificates, Weekends on Mt. Lemmon, Manuscript Critiques, and Luxurious Gift Baskets Galore, so stuff your pockets with dollar bills and be prepared to take home piles of loot! We’ll also be awarding our annual chapter service thank-yous, including the coveted Barbara Award. So make a reservation, load a gift basket, and get ready to have fun! Meeting fee $30 members $35 guests. Party runs 10am – 2pm (Doors open 9:15) and includes a single-entree buffet lunch. Please let us know you’re coming by reserving on our payments page or by contacting reservations@tucsonRWA.org no later than 8 am Wednesday before the meeting. Have you ever watched a movie and rooted for the villain? Do you read books where you cringe and are yet delighted by the awfulness of the bad guy? Have you ever seen a villain transform before your eyes as you realize their motives are not that far gone from what you yourself believe? These are great villains! Contrary wise – Have you ever read a villain sitting in a oversized chair stroking his longhaired cat? Or giving a long winded explanation to the hero of what he is going to do next right before he attempts to kill said hero? Or how about a bad buy who strides down the street all in black his menacing look scaring everyone in sight? Big difference right? Villains, bad guys and monsters can make or break your book. In this class you will learn exactly what you need to write a believable and memorable bad guy. 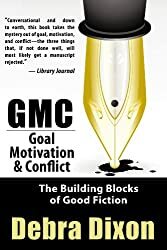 You will learn how to make them tick, how to make them real and how to get your readers cringing and still wanting more. From motivations to backstory and minions to stereotypes you will leave the class with the tools necessary to create your own worst (or best) villain yet. 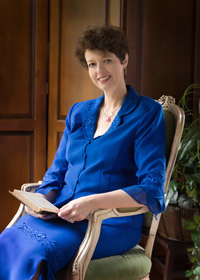 Rebekah Ganiere is an Award Winning Bestselling Author and Screenwriter. Her debut novel Dead Awakenings hit the bestseller list on release day. Her Fairelle Series, released in 2014 and has won several awards for both writing and screenwriting, including the Golden Palm and a finalist for Rone Award as well as Best Fantasy Series of 2014 from the Paranormal Romance Guild. Her trilogy The Society was released by Kensington and her series Wolf River released in 2016. Rebekah is a prolific author releasing upwards of five books a year and is currently working on six different series. Rebekah is the previous President Elect of the Fantasy, Futuristic & Paranormal Chapter of RWA as well as a member of several local and online chapters. In her spare time when she isn’t writing, you can find her teaching and cosplaying with her family as a guest speaker and panelist at San Diego Comic Con, Wondercon, Salt Lake Comic Con, Long Beach Comic Con, Comikaze and several other Comic Cons on the west coast as well as LTUE, Romantic Times Convention, RWA, InD’Scribe, and Authors After Dark. This workshop gives writers the tools to be able to determine which parts of backstory are relevant and how to release it to support and drive the main story. Click here for more information. Fee: $30 for SRW members, $40.00 nonmembers. A two-week intensive class on Dialogue Dynamics. Click here for more information. Dates: October 1st to October 26th. A two-week intensive class on Dialogue Dynamics. See course description for more information. Online class registration requires 48 hours to process. It is your responsibility to mark your calendars and iron out any difficulties joining the Yahoo group by contacting classes@tucsonrwa.org before class begins. NO REFUNDS except in the case of class cancellation. Every July, Romance Writers of America puts on one of the best writing conferences in the world, with hundreds of classes, editor and agent appointments, and an unparalleled opportunity for romance writers to bond with our tribe. But what if you can’t make it? Or you didn’t manage to attend six amazing workshops every hour of the day? Fear not – on July 28, SRW members who’ve been to national will take over our monthly meeting to share the information and enthusiasm they’ve soaked up at the conference. This is always a hugely fun meeting. Come join the crowd and bask in the glow of what Romance Writers of America is all about. Our May speaker will be New York Times bestselling author Jennifer Ashley. 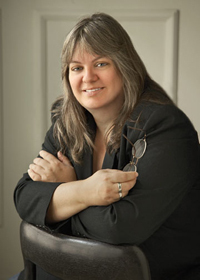 Jennifer Ashley has written more than 100 novels and novellas in paranormal, contemporary, and historical romance; mystery; and fantasy. She has been published since 2002, is both traditionally published and self-published, and has had her books translated into at least 20 different languages. When she’s not writing she plays with dollhouses (loves Tucson’s Mini Time Machine! ), and plays guitar, or is in the pool to cool down from the summer heat.